An absolute beauty! 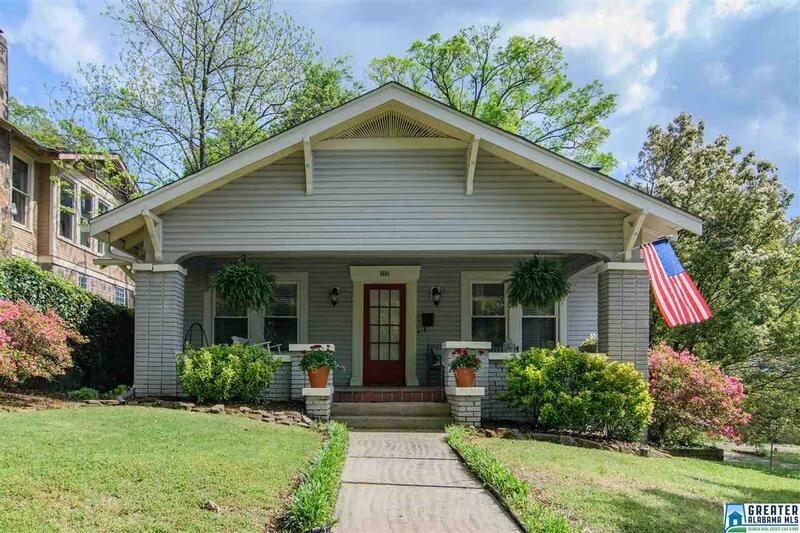 This picturesque Crestwood Bungalow has loads of historic charm with all of the modern updates that you need. Peaceful front porch with traditional haint blue ceiling will be your favorite place to relax. Spacious living room with crown molding, hardwood floors and gas fireplace flanked by built-ins. Large formal dining room with multiple windows for great natural light. Kitchen with tile floor, gas range (2016) and plenty of cabinet/counter space. Large laundry/mud room off of the kitchen and built-in cabinet/storage in hall with recessed lighting (2017). Master bedroom with new shiplap ceiling updated en suite bath. Two additional bedrooms and full bath for kids or guests. Open deck overlooks the completely updated backyard (2017) â bluestone walkway, French drains, raised planters, exterior lighting, picnic area, timber retaining wall, rope swing, shrubbery and sod! HVAC (2017) Roof (2011) Home is super convenient to UAB and Downtown!